There’s never been a better time to introduce yourself to H2 Rotisserie & Bar and H Tasting Lounge than during Dine Out Vancouver 2018. 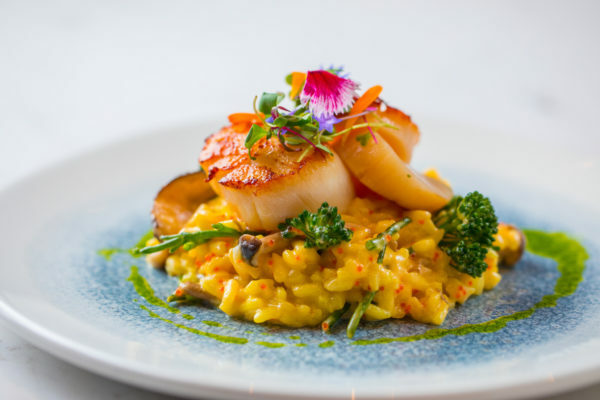 The magnetic new restaurant and stylish lounge at Coal Harbour’s Westin Bayshore have three special experiences on offer between January 19 and February 4. Complimentary valet parking and dine-and-stay packages make for an exceptional Dine Out experience. 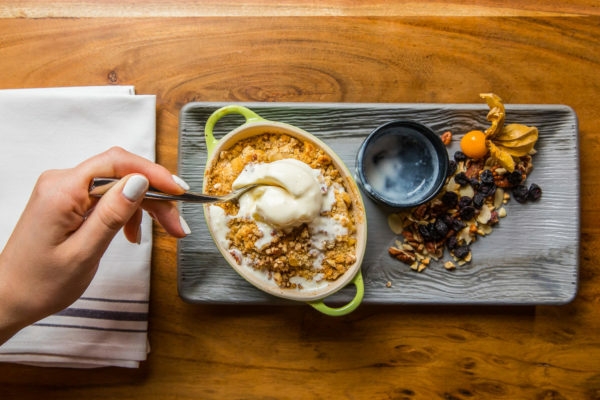 Already famous for its rotisserie chicken and convivial atmosphere, H2 Rotisserie & Bar offers guests a three-course menu for $30 per person, with an optional ‘flight of local taps’ for an additional $9. 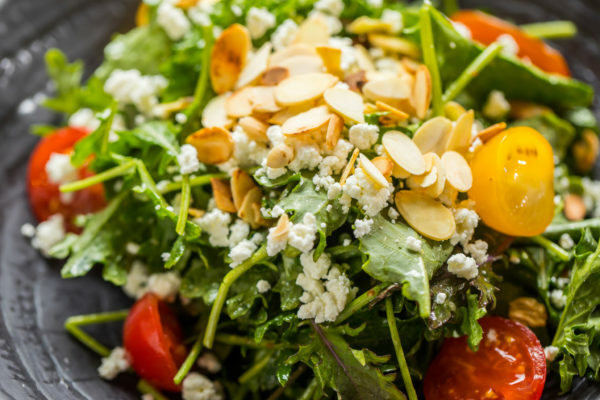 Start off with an organic baby kale salad or mushroom bisque, move on to rotisserie chicken pot pie or winter squash ragu, and finish up with peanut butter pannacotta or cranberry apple crumble. H Tasting Lounge pairs its sophisticated, globally-inspired dishes with international vintage wines. 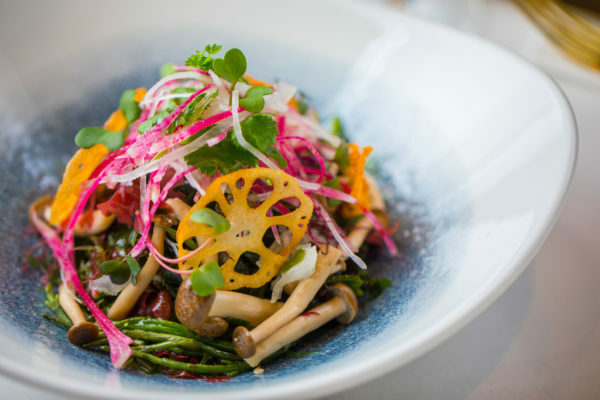 $40 per person provides diners with their choice of heirloom tomato & cold-pressed avocado or ponzu seaweed salads, seared diver scallop or 28-day aged striploin entrées, and tri-chocolate mousse cake or green tea passion fruit mousse. Wine pairings, ranging from $10 to $14 per glass, are available with each course. H Tasting Lounge and The Westin Bayshore, Vancouver is also proud to partner with Tourism Vancouver, Aeroplan and Air Canada to present ‘An Evening in Beijing’ on January 30 as part of the World Chef Exchange. Guests can experience a sumptuous four-course menu featuring Chinese inspired cuisine. The evening begins with yellow corvina (braised or ‘chaud-froid’), and abalone and black truffle hot & sour soup, as well as baked blue abalone with herbed butter. Guests then have a choice of entrées prepared two-ways, featuring Kung Pao lobster with macadamia nuts and lobster and wagyu beef cheek surf & turf, before finishing off with creamy almond tea pudding or tarte aux poires Normande. 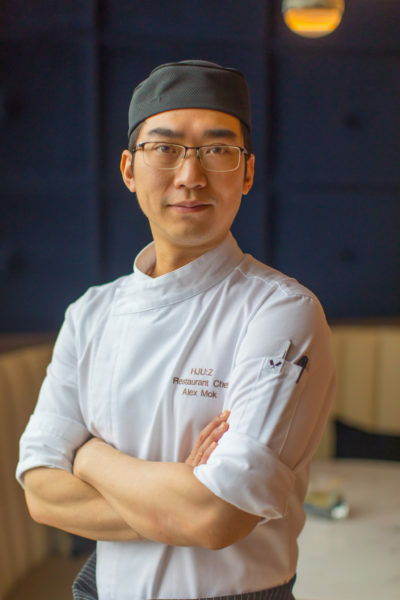 This Beijing-meets-Vancouver collaboration combines the skills of H Tasting Lounge Executive Chef Alex Mok and visiting Executive Chef Jacky Fan from the Westin Beijing Financial Street. To complement the two chefs’ artistry, each course will be paired with the sommelier’s choice of vintage wine. The suggested pairing for the first course is the premium bartender’s handcrafted Chinese gin & tonic, featuring chrysanthemum and cilantro infused gin, house-made bitter melon and Chinese five-tonic syrup and quinine plum caviar. Tickets for the World Chef Exchange dinner on January 30 at 6:30 pm are $131 per person, including beverages, taxes and gratuity. For more information and to make reservations for Dine Out Vancouver, World Chef Exchange and Dine and Stay packages, visit: westinbayshore.com/dine-out-vancouver.